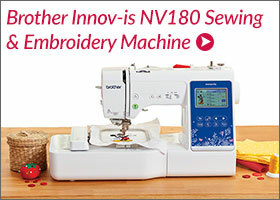 If you’ve just purchased your Brother NV950 Sewing and Embroidery Machine and haven’t yet taken it out of the box here is a video that will help you get started. 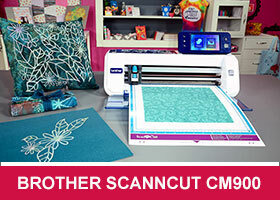 This video is part of the Echidna NV950 Sewing and Embroidery machine playlist. If you click on the top left corner navigation on the video player you can browse through the list of videos. Otherwise you can also view the youtube playlist. Description: These handy sewing caddy fit in front of your sewing machine, so that all your essential tools are conveniently located. This project is great for beginners and a perfect use for those fat quarters we love to collect. 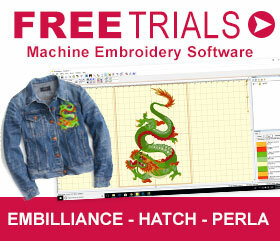 Just the mention of thread tension strikes fear into many home embroiderers and it shouldn’t. Tension is a very simple thing to understand, as long as you know where to start. The most common tension issue is when the bobbin thread peeks through to the top of the fabric resulting in little white thread spots in an otherwise good-looking design. In simple terms, this result is due to an imbalance between the top and bottom thread tension. Either the bobbin tension is too loose or the needle tension is too tight. This problem can sometimes be due to the variability of thread and it’s not necessarily a quality issue. Different types of thread can give very different tensions but the first starting point for setting any machine tension is to make sure that the bobbin tension is within an acceptable range. Unlike the needle tension, there is no dial or electronic measurement to work with, just a tiny adjusting screw on the bobbin case or bobbin holder. We can’t stress enough how important it is to choose the correct type and size machine needle to achieve optimum stitching results. Most sewers are aware that needles vary in size to accommodate different fabric and thread weights. Universal needles, the most common, vary in size from find 60/8 to thicker 20/120 and larger. A find needle is required for delicate fabrics ie, Batiste and Voile and is used with fine thread such as 80 weight. Thread weight runs in the opposite direction to needle size ie, the larger the number the finer the thread). At the other end of the scale, where several layers of heavy duty canvas are being seamed, a thicker thread will be used and a much larger needle will be required. For general purposes a size 80/12 needle is most commonly chosen.